Unless you are a total stranger to blogging you may already know the importance of comments. Comments represent the level of activity in a blog and it is a major factor differentiating static websites and blogs. Consider this real world example – Have you ever gone to a mall and noticed that some stores have many customers while others have zero? When a new customer enters the mall will he choose the store with customers or those with no people? This is applicable in blogging too. Readers have a tendency to stick with the blogs with comments while they always avoid the blogs where no discussion is going on. So still your blog posts are showing zero comments then keep this in mind – it is the time for action. So what are the secrets for getting more comments? Our world is populated in such a way that there are more followers than leaders. Most people want to become followers rather than leaders. Consider our first example; no one is going to enter those empty stores till someone else enters first. Most people will not comment on blog posts that don’t have any comment on it. The first one is the hardest one to get, but there is an easy way to get it – simply do it yourself. Yes, find a cute name, get a nice gravatar and comment on your posts. I admit, I used this strategy during those days of blogging when I got tired of seeing ‘zero comments’ all over the blog. And that worked magically, I started getting genuine comments. Now there is no need for me to do that because I am getting an average of 15 – 20 comments for each of my blog posts. But for beginners this is the single best strategy you can do today itself. Including specific questions in posts definitely helps get higher numbers of comments. Feel free to ask your readers for their input. Close your post with ‘So what do you think? Please tell us your thoughts in the comments section, we’d love to hear from you!‘ Asking questions to readers is a great way to get comments but if there is no reply even after several days then it does not look good. If so happen then go back to the step 1, seed the first comment yourself using an alias. May be you have wrote an excellent post and many readers want to drop a comment. But if your blog requires a login for posting comments then how many of them you think will still interested in commenting? This is same for the case of captcha’s. You may want to prevent spamming but captcha’s always pull back readers from commenting. A combination of Akismet and GASP plugin prevents spam to almost 100% then why you still add captcha’s and puzzles? One of the blogs which I visit regularly needs a puzzle to solve in order to post comments. Sorry buddy, you wrote great articles but I can’t spend the whole day solving those puzzles. The readers took their time to comment on your blog, and then why not reward them? There are many ways to encourage readers to post comments. One of the most popular one is Top Commentators plugin. This plugin will add a sidebar widget to show the top commentators in your blog. Unlike the default WordPress links, the links in the top commentator’s widget are dofollow and hence will get SEO benefits as well as additional traffic. People that comment often on your blog are your most loyal readers and this is a great way to reward them. You can even think about offering a free ad space to the top commentator of that month. Another way to reward your commentators is the CommentLuv plugin. Unlike the top commentator’s widget, which only rewards most active readers, CommentLuv gives every commentator a little drop of link juice. This plugin will visit the site of the comment author while they type their comment and retrieve a selection of their last blog posts, tweets or digg submissions which they can choose to include at the bottom of their comment when they click submit. After I installed CommentLuv in this blog I saw the number of comments got almost doubled in a short time. Making all the comment links dofollow will encourage readers to comment because they will get a part of your link juice and thus get a higher search ranking. You can easily do this by the addition of a dofollow plugin. But this is a topic of controversy. According to Google guidelines all the blogs should nofollow their links in the comment section in order to prevent spamming. Removing nofollow links violates Google guidelines and this may result in getting a hard Google slap. But recently I saw some of the popular blogs becoming brave enough to make all their links dofollow. So whether to make your links nofollow or dofollow is up to you. But Keep your eyes open; once you make your links dofollow you can see hundreds of human spammers posting crap comments in order to steal link love. No one wants to talk with a wall, so your readers too. They need response for their comments. If you’re not willing to use your own comments section why would your readers? If someone leaves a comment, interact with them. Discussions should not be one sided. If a new visitor notices that you are not replying to comments he will never want to comment in your blog. Replying to comments is very important, atleast during the early days of blogging. Some of you may complain that it is very time consuming, but in fact it is not a waste of time. Most of those commentators may become your regular readers. I also recommend you to install Reply Me plugin. Reply Me sends email notification to the reader when their comment has a reply. This is a great way to continue the discussion. Commenting tribe is a group of people who get together to comment each other’s content online. You all agree to comment on each other’s blog and this will help to maintain a level of minimum comment activity in your blog. The best place to find small commenting tribes is facebook. But most of the time such groups is a waste of time because the members are interested in promoting their content only. So it is better to start a private commenting tribe yourself. First go and create private facebook page. Find blogs in your niche that provide good content, but don’t get much traffic yet. Have a look at their Alexa Rank; see how many comments they get. Now contact those blog owners and let them know about your tribe. Ask them to join if they are interested. Always make sure that your tribe will not have more than 20 members because above that it will be difficult to control activities. Commenting on other people’s blog is a good way to get the blog owner’s attention as well as a comment on your blog. Most blog owners (not the big fishes) will check your blog and will drop a comment if your posts are worth commenting. But you should follow some good practices to get best out of commenting on other blogs. First off all don’t leave ‘great post’, ‘nice share’ type comments. No one is going to approve those comments and even if it is approved no one is going to notice it. Always try to add value to the discussion through your comments. Also try to be the first one to comment because blog readers rarely reads comment after first ten so chance of getting traffic is very less. So these are proven techniques to generate more comments for your blog posts. None of them are difficult, so take action today itself. Do you know any other methods for comment generation? Please share your opinions. Installing Comment Luv plugin will also increase the comment flow in your blog ! CommentLuv is a great way to reward your commentators as well to attract more comments. Once I installed that plugin the number of comments per post almost got doubled! I agree with you Praveen. Commentluv plugin is a great way to increase comments in your blog, as long as your post and overall blog is reader-friendly and interactive. What’s also great about Commentluv is it is virtually free to register. Not really. Most readers actually hate having to read through too many emoticons. It makes the content look gibberish and hard to trust. Even the one for giving yourself a secret identity and making the first comment! That’d be really cool if across the board that made a huge difference in people actually taking the leap and commenting. When reading a blog post it’s only you and your reader. It’s all one on one even though jillions of people will have read the post eventually, they’ll have all done it by themselves in front of a computer or phone. It’s a subtle action that I believe makes a huge difference in the personal communication a blog allows. Thanks again for these awesome suggestions Rojish! Time to go put them to work! You are absolutely right Lewis, it should be ‘I’d love to hear your feedback’ not ‘We’d love to hear your feedback’. When the readers feel that we are talking to them personally they will be more encouraged to input their responses. I think the main thing is to respond to comments, to make the commenter understand that you need him and you like to communicate with him and then he can reward you with better comments and maybe some new commenters. Yes, the discussions should not be one sided. No one wants to comment on a blog where the blog owner never respond to the comments. It is the duty of the blog owner to reply to the comments or at least say a ‘thank you’. This is very important during the initial stages of blogging where we all are trying to build a community around the blog. But unfortunately some of the blogging newbies are not paying much attention to this. Thanks for your response Vlad. Thank you too, it is nice to comunicate with you. I am following all the points but the I never thought for the first point. Its a clever idea for new bloggers. That is a surefire strategy Atish, and that had worked well for me. There were days in which I was looking for at least one comment for my posts. Then I tried this technique and to my surprise I start getting comments from readers. Really helpful tips and recommendations for a blogger to increase activity and get more comments on a blog. Form my own blogging experience I can say that I have managed to increase blog activity signifficantly by commenting topic-related blogs. This method works perfectly and I have received a lot of comments in return. 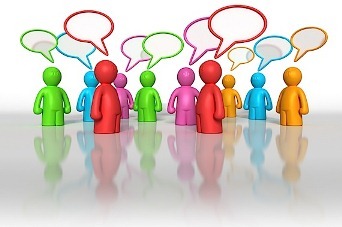 Commenting on related blogs is one of the best way to get more comments as well as traffic. If we add a valuable comments to related blogs both the blog owner as well as its reader will begin noticing us and may they become one of our regular reader. Thanks for the comment Terje. I find that when I monitor my blog closely I get some great comments and inturn move up in the serps. I also post out my comment RSS feeds seems to help me drive traffic. You are right Peter, comments can increase your search rankings. Google love fresh updated contents. Comments are an excellent way to update our already published posts. I like your first point and that you admit it. It’s a pretty nice strategy for new blogs. just like another you giving a second opinion. Most People just hate being first, I wonder why? Other tips are practical too, like joining a comment tribe. If I can find an active one, I’d like to join.. Quite an interesting post. Yes, most people hate to be the first commentator, I wonder why? I always love to be the first commentator because first position will give us the maximum exposure and traffic. Welcome to my blog and thanks for the comment Ikenna. Good ideas you have there. Specially advice nr. 1. 🙂 I have not thought about that. It would be nice rewarding my readers by using CommentLuv or KeywordLuv but it is only available in the hosted version of WordPress. Unfortunately CommentLuv or KeywordLuv is available for self hosted version of WordPress. I strongly recommend you to move to a self hosted version. It is at least 10 times more powerful than wordpress.com . I am sure you will never regret on this decision. Nice point, simple article always attract more comments. Hello Alison, we can’t neglect the interactivity part because it shows the level of activity of our blog. When a new visitor comes to our blog he can easily understand whether our blog is live or dead by looking on the number of comments. Also comments increase the search rankings of our blog. Google loves fresh, updated contents. Comments are an excellent way to add new content automatically to our already published posts and thus make it fresh in the eyes of Google. Thanks for the comment Alison. Nice tips you’ve put down here rojish..
Commentluv too helps you to get additional comments as commentators feel that they’re latest posts get exposure, hence comment. With regards to dofollow – Im not too sure about this one – because you end up getting more SPAM than genuine comments. Wonderful post and yes your first strategy is a total killer. CommentLuv is the single best plugin which can double the number of comments in your blog. Regarding dofollow I am still have a confusion with it because once we make our blog dofollow spammers will target our blog to steal link juice. Some months ago I tried this and the results was not that good. But recently I am seeing a new trend that many blogs are moving to a dofollow. I been using Disqus for over a year and its great and very useful when it comas to the people who comment on it. People are able to leave a video comment and more if you make those function active. Its great for the good price of free. Interesting that you recommend Akismet rather than CAPTCHAs to stop blog spam. On another blog the readers were quite adamant that Akismet is no good because it blocks a lot of legitimate comments. Glad to see you endorse it, since I use it myself. Yes, Akismet sometimes blocks legitimate comments. But once in a day I will go through the spam section to verify there is no legitimate comments. Since I am using GASP plugin there is not much automated spam and so going through the spam list is not a difficult process like before. I always hates captcha’s in comment section, it will pull readers from commenting. In my experience installation of Disqus or Intense Debate prevent people from commenting. People hate need of logging in. The default WordPress commenting system is enough. If you can add Commentluv and Keywordluv to it then it is the best. I’m a great fan of commentluv since installing it i have seen a big increase in my number of comments, but of course finding articles like yours will hopefully help me get more. As the conversation builds so will your relationship with your readers and so will your blogs popularity. Encourage your readers to join in the discussion and leave comments and respond promptly to the comments left by your readers to make them feel valued. Just as you dont like to be ignored when you address someone in person you dont want to ignore your readers when they address you through a blog comment…The Effects of Blog Comments Beyond the Blog Conversation.An interesting aspect of blog comments is the fact that people who leave comments on your blog can also leave to other blogs or websites or their own blogs to further the conversation. Nice Tips. I follow all these…. Thanks for sharing the ways on how to do it. I have a small business and I use social media. I’m the only one who maintains it, I do the blogging, the articles, etc. And I always seek for an online advise and tips. And I find your blog so useful and helpful. What do you mean a “Google Slap” ?? I changed my blog to “Do-follow”. What will google do? Shut down my website or just take me out there rankings? Simple tips,explained in a very lucid manner.. Thanks rojish for posting this article.. Unfortunately, for both of the plugins that you mentioned, they are for wordpress blogs only, is there any plugin like commentluv for blogger blog ? PS : Please visit it, some one will be waiting for your ‘valuable’ comment. Hello Isabella, you can still use commentluv for your blogger blog if you have intense debate as the commenting system. This article give a nice tutorial for implementing commentluv in blogger blog. I just think that you don’t get a lot of responses simply by closing your post with questions. Post should be inviting to opinion sharing itself in order to attract comments. If your post is just a dry “ex-cathedra” talk, people will just read it and move on. Not because it’s bad, but because they have nothing to add. I love the idea about commenting yourself first. Nice information i am thinking of applying some of them to my site.Your site has good layout and maintained well. What a great secrets revealed, the first thing to do with the comments is to respond right? Commentators or visitors appreciates your hospitality to welcome them and thank them for taking time to visit. Respond to comments is the best option. To increase comments in your own blog I would like to suggest that in every last sentence of your written article leave an open ended question to help your readers share their experience or concerns. I haven’t tried commenting on my own blog but with this post I will try it myself. Other suggestion is to make your blog do follow to encourage other bloggers to comment on your blog. This is a new information for me. I never thought that there are some strategies to work out to get more comments. Thanks! I noticed on a website once, they offered $100 amazon gift card and over 500 people commented, how good is that? Getting more comments is important for everyone’s blog. You advertise them , they advertise you.Thank you for these fine tip and “secrets”! Hello Rojish, Very nice points you have listed here. I like the point: Reward the commentator. Which you are doing on your blog. Can you share your experience about do follow and no follow in comment section.